November is here which means holiday offerings are starting to hit the shelves. i have a horrible habit of seeing all of the amazing holiday deals and wanting two of everything; one as a gift and one for myself. the great thing about these holiday gift selections is that you can typically get your favorite of any beauty product at a lower cost, a larger size and with added bells and whistles to make your purchase stretch a little further. this season mark. cosmetics is offering a wide variety of gifts at such a great value - not to mention they come in silvery pink boxes which look great on their own, or wrapped if you prefer. each kit contains your favorite combinations of products at great prices. 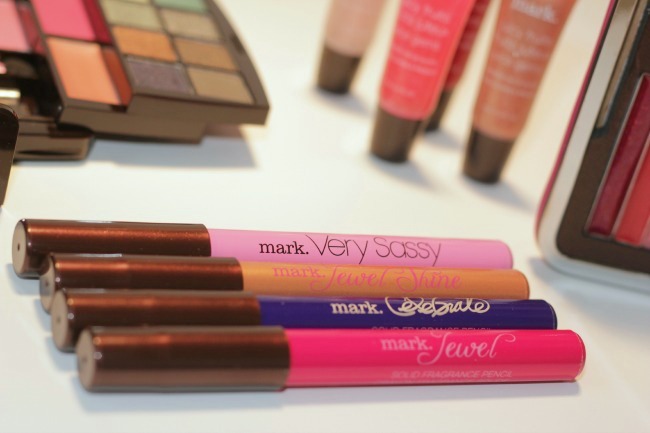 the solid fragrance pencils are sold in a set of four with the Very Sassy, Jewel Shine, Celebrate and Jewel scents. these are great for throwing in your purse or packing on a vacay since they won't spill or leak and cause a perfume bomb rather than a sweet scent. so easy to apply, just swipe a bit on your wrists and neck and you're set. the makeup palettes are what really got me. the kit below includes a variety of lip gloss, blush, bronzer and eyeshadow, all packed in an adorably miniature wallet that looks divinely chic on its own merit. once you finish with the makeup you can remove the palette inserts and continue using the wallet/compact. the last two are great options for anyone. pick up a quad of the Juicy Fruits Juice Gems in a variety of four shades. they wear great and give great shine. i am a sucker for a makeup palette, whether it is the variety of color or the sheer coolness of opening up each little drawer to find yet another set of shadows or blushes, it is a hit. if anyone is ever wondering what gift to give, the gift of a makeup palette is always a show stopper. I've always seen mark but never tried that brand before! Your pictures are beautiful. Love it! Looks so pink & cute. 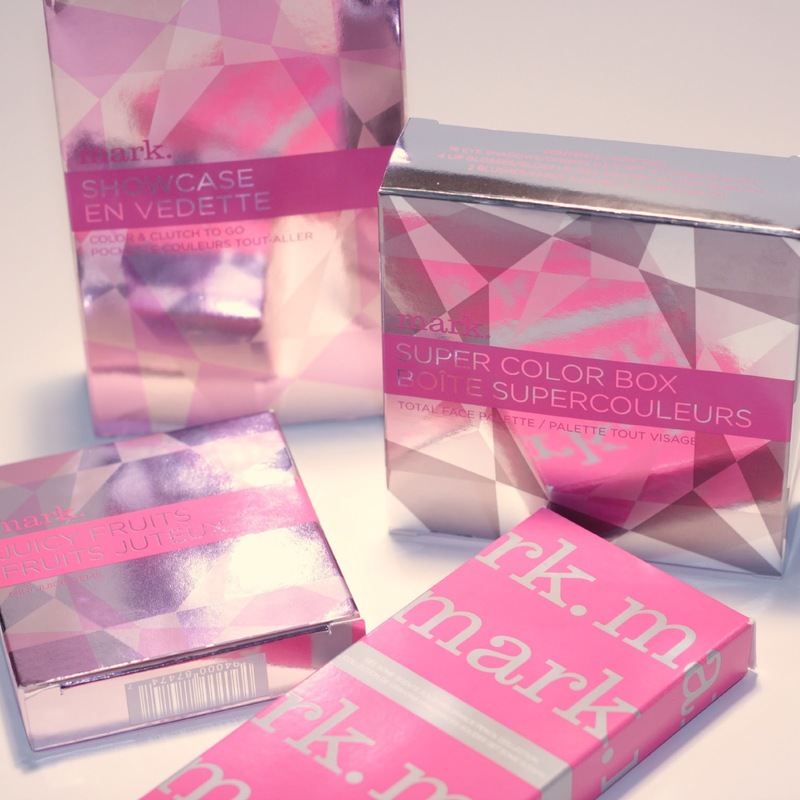 I've never heard anything about mark, but I would love to try out this brand.